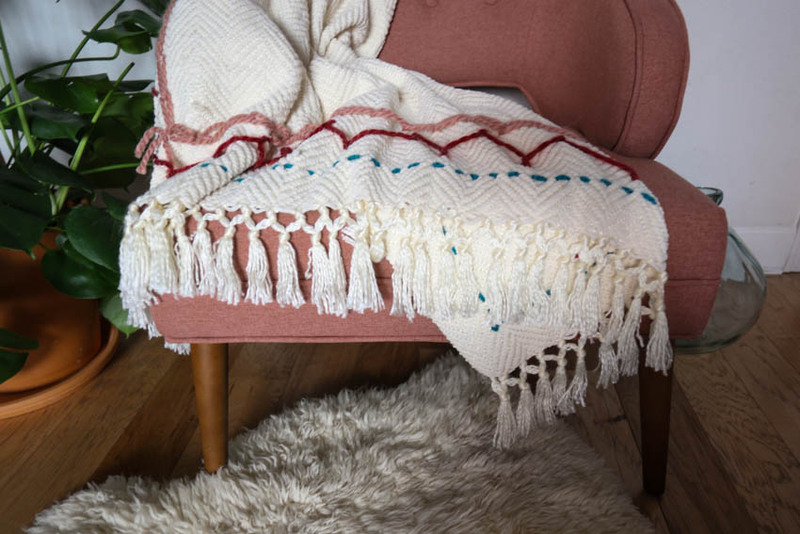 It’s finally cooling down a bit in the mornings and evenings around here, so we’re starting to snuggle up with our cozy throw blankets to have on hand for snuggling up at home. 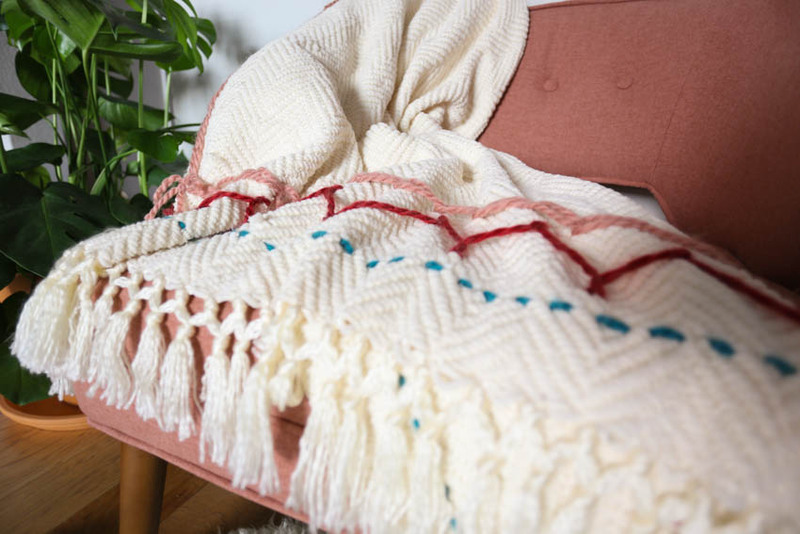 One fun way to personalize and add design and interest to a plain-colored throw blanket is to imagine it as a giant embroidery project. Using chunky wool yarn and a knitting-gauge needle, you can embroider a folk-inspired border around the edge. 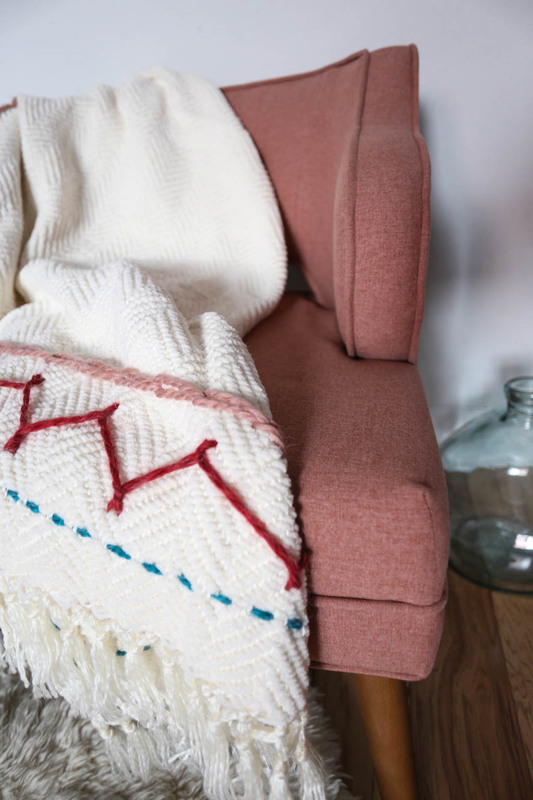 I created this embroidered throw blanket as a fall DIY over on the World Market blog, and loved both making it, and styling it with this darling chair that will soon live in Plum’s new bedroom. The whole scene is so cozy, which is my favorite adjective for our home. The embroidered blanket project is so fun, because it’s simple and can be personalized with any colors and patterns. I looked up some basic folk style embroidery stitches and used colors that feel like the changing season, but will also go great in my home. After years and years of sewing (and actually not thinking that I enjoyed hand-stitching very much) I am coming to love slightly slower projects that I can use away from the machine. I can sit and stitch while I’m watching a show, chatting with Dave, or sitting on the porch while the kids run around the yard. 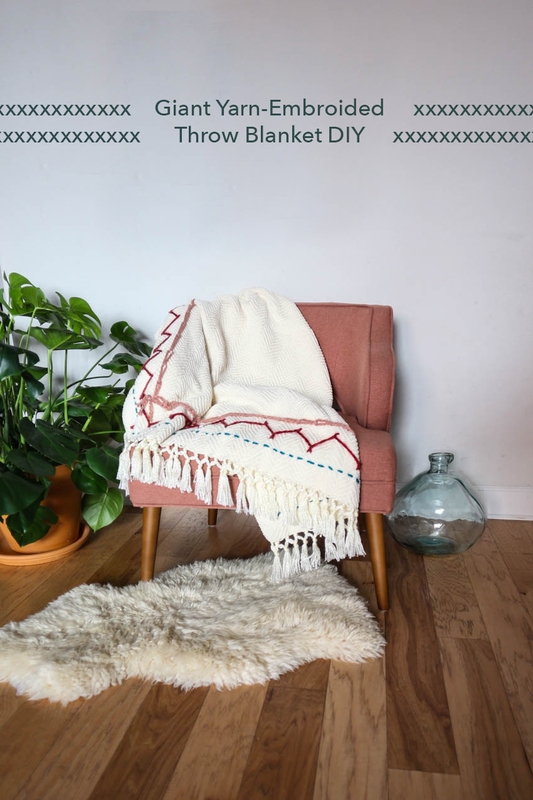 With gift-giving season right around the corner, I also love the idea of using this throw blanket as a personalized gift, using colors and patterns to match the recipient. You could even go so far as to add a personalized monogram along the edge or in the center of the blanket. 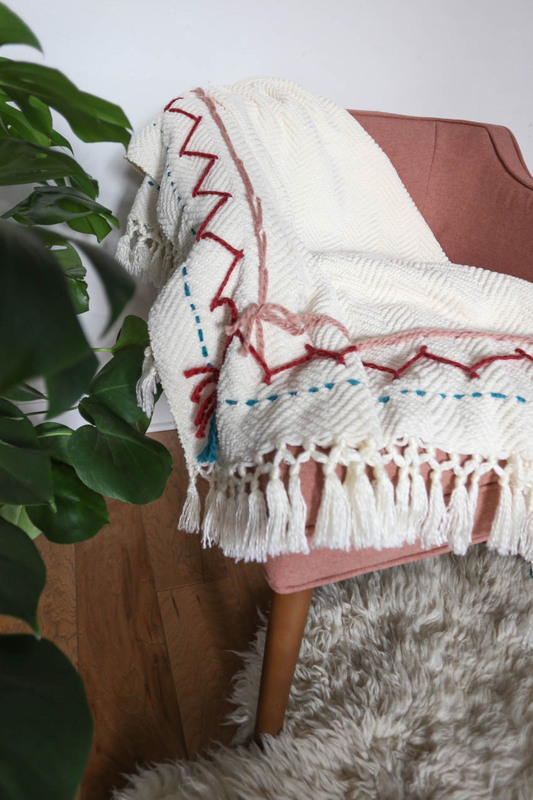 Make your own with the full DIY for this large-scale embroidered blanket over at the World Market Blog. Some of my other World Market posts that would make great gifts are this leather strap apron, and this hairpin leg breakfast tray.